THIS IS A BOX I BUILT LAST WINTER IN MY KITCHEN. 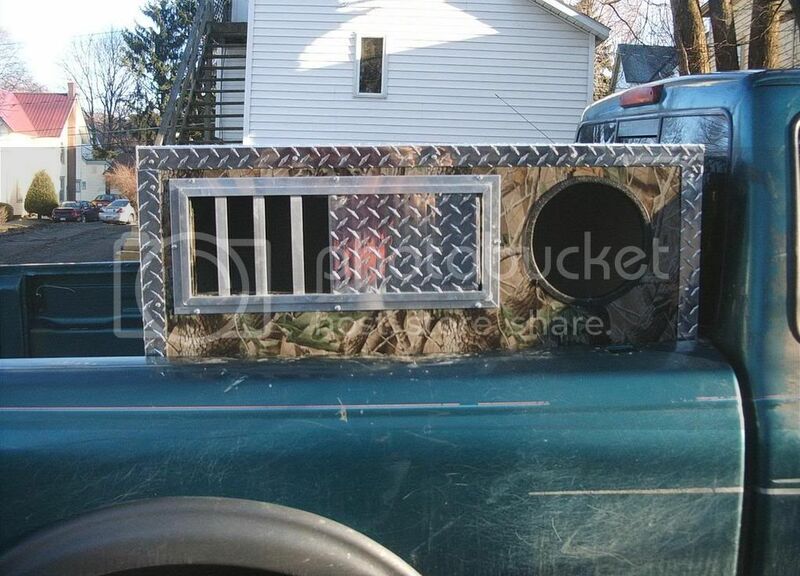 "YA MIGHT BE A REDNECK! 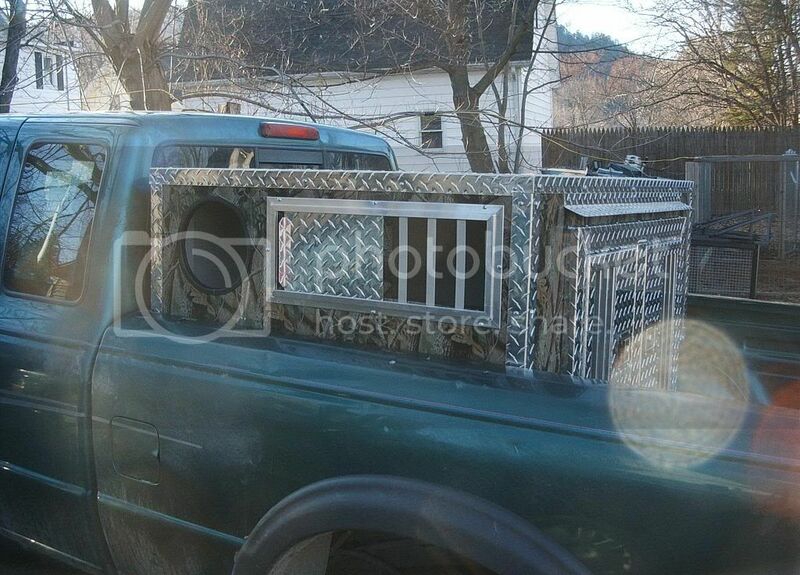 "I USED AN OWENS DO IT YOURSELF KIT AND ADDED MY OWN PERSONAL TOUCH TO IT. that the rocket science of dyi dog boxes. you should get a gold star for that! Happiness is a belt fed weapon and free pie. did a good job with it! Where do you buy the kits?? I would like to build one. Thank's Buckshot that will beat my blue barrel with a plywood door on it. LION COUNTRY SUPPLY.THE KIT IS DOORS,VENTS,AND CORNERS.THE REST OF THE STUFF I BOUGHT LOCALLY. How did you camo it? Is it a solid cover or something else? SHEET METAL I GOT OF E-BAY.IT WAS ALREADY PAINTED. Or you can insulated alumuminum and Camo-Clad it. 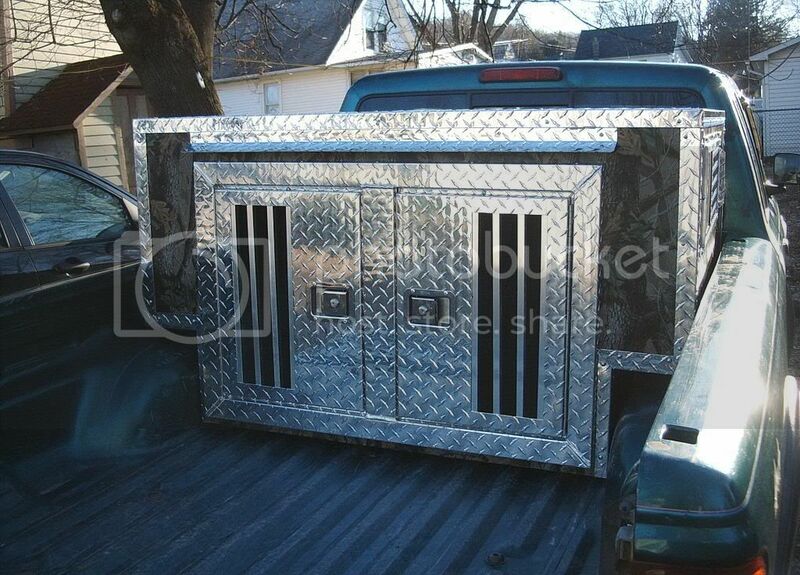 i was wondering... does anybody have one of these dog boxes? if so do you like it? How well do they stand up to the weather? any problems with leaking or rotting? well my buddy has one he bulit his self like what MOLLY1 did and hes had if for 3-4 years now and he hasny had any problems out of it and i personily would like to have one and im thinkin about gettin one. IT TOOK ME A COUPLE WEEKENDS,BUT IF YOU WANTED JUST A SQUARE BOX YOU COULD DO IT IN A DAY.AS FAR AS LEAKING OR ROTTING,IT DEPENDS ON HOW WELL YOU SEAL IT UP AND WHAT YOU BUILD IT OUT OF.